For over 17 years Pakenham Trailers has been supplying quality trailers Australia Wide. We can build trailers to your specific measurements, or suggest features and designs that will best meet your needs. We build all types of trailers and can also handle registrations for your convenience. Whether you need trailer repairs, alterations, or would like a trailer built from scratch, the team at Pakenham Trailers is ready to look after you. As a family-owned team, we’re dedicated to providing the best possible service and customer satisfaction. Over the years we’ve built a reputation for providing great-quality, Australian-made trailers with excellent customer service: come and see us for more than just genuinely good, quality trailers. 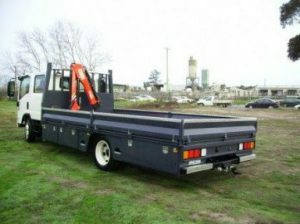 Pakenham Trailers designs and builds trailers for a range purposes. From specific purposes to general-use trailers, our team can build exactly what you need. All our trailers are durable, highly functional, and designed to last a lifetime. For heavy-duty custom-built trailers guaranteed to be of the highest quality, contact Pakenham Trailers. For your convenience, registrations are done on-site for all our trailers. This gets you on the road sooner and saves you the hassle of organising registration at a later date. For more information regarding this service, please don’t hesitate to call us on (03) 5940 1460.